Looks like the Big One knew their stuff - Halisi and Little One have finally reached the other rocket! 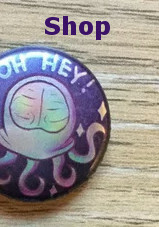 I still have some squishy badges left, You can buy them here! If you enjoy the comic, please consider donating over at Ko-Fi. 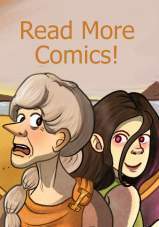 Rather than using the money for hot drinks, I invest the money back into producing the comic. I'm currently saving up to produce some posters and prints for my shop. Do starships come with Lojack?